The Carter Center Waging Peace. Fighting Disease. Building Hope. Legacy Circle: Planned Gifts, Bequests, Annuities, etc. Peru's media landscape was shaken last year when El Comercio - one of Peru's oldest and most influential newspapers - acquired a majority stake in the media company Epensa. In response, El Comercio's biggest rival, La República, filed a lawsuit alleging monopolistic practices. "This conflict illustrates the fine line between protecting the freedom of press and working under a free market," said Dr. Jennifer McCoy, director of the Carter Center's Americas Program which works in the region to prevent escalation of national and bilateral disputes. In an effort to reduce mounting tension, The Carter Center invited key stakeholders and experts in the region to discuss the recent concentration of media ownership and its impact on freedom of expression and democratic governance. 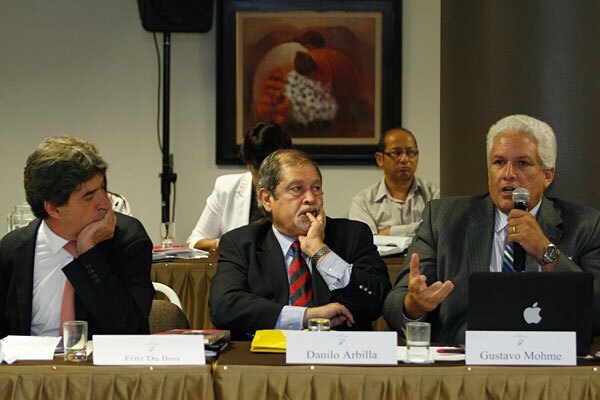 The event, held earlier this year in Lima, Peru, brought together for the first time the directors of both major newspapers to discuss the conflict. "The Carter Center was aware that it was dealing with a very serious topic and a host of powerful protagonists," said panelist Danilo Arbilla, former president of the Inter-American Press Association, referring to the passionate, yet productive discourse at the meeting. Was the acquisition of Epensa by El Comercio a cause for concern? During the event, it all depended on whom you asked. "The representatives of both newspapers were firm in defending their visions and interests, but without reducing the quality of the debate," said Arbilla. The director of La República opposed the acquisition, claiming it would distort free competition and give El Comercio disproportionate leverage to advocate for its own interests. In contrast, the late Fritz Du Bois, former director of El Comercio, believed that any attempts to force divestment signified a violation of press and business freedoms. "El Comercio is the perfect example of economic success. It's a company that has been able to gain readership because of the quality of its products without hindering the access of print media in Peru," he said. The late Fritz Du Bois, former director of El Comercio, speaks at the event in Peru. Du Bois believed that any attempts to force divestment signified a violation of press and business freedoms. Despite the differences of opinion, the event was positive experience, according to Arbilla. "It widened the knowledge and opened the debate for future contributions," he said. This event was sponsored by the Carter Center's Contentious Issues in the Americas project, which aims to prevent the emergence and escalation of conflicts through dialogue. 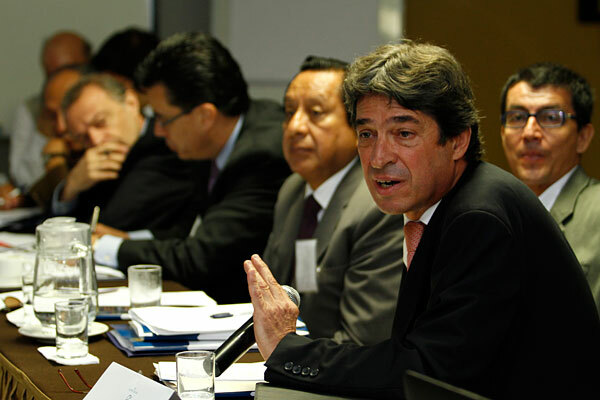 The Center has facilitated similar discussions in Bolivia, Chile, Ecuador, and Venezuela, enabling experts to debate issues specific to each country. A central concern at each event has been the fundamental question of what a government's role should be in promoting and protecting the rights of independent media in Latin American democracies. The last event in this series will be held in Colombia in November 2014. Please sign up below for important news about the work of The Carter Center and special event invitations. Join our social media communities, stay informed, and help spread the word. The Carter Center is a 501(c)(3) charity (tax ID# 58-1454716). © 2019 The Carter Center.